I maintain a custom built web application. Any time this application sends an email, it adds a custom header X-UUID to the mail, to assist me in tracking abuse and email delivery. This UUID is written to my application's log file so I can correlate any given email with what was happening in my application at that time. I was able to figure this out with the help of a post on cPanel's forums. Not the answer you're looking for? 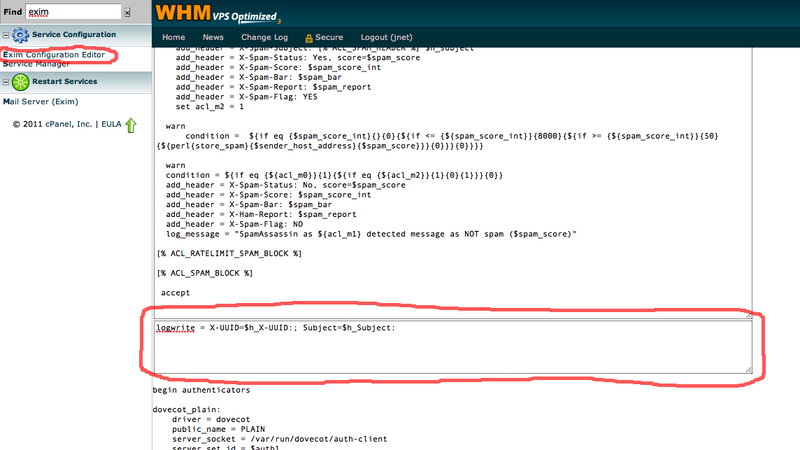 Browse other questions tagged smtp exim or ask your own question. How can I send remote emails using exim?